Terri Cook Coming to Hamilton College! 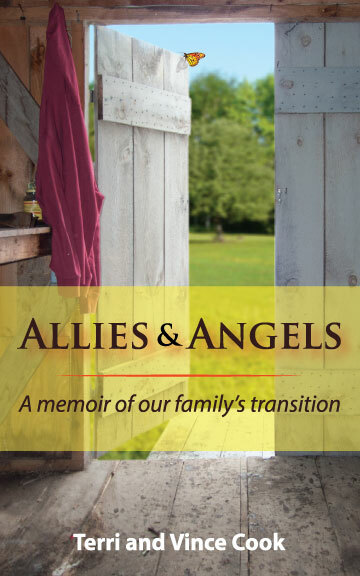 Hamilton College’s Rainbow Alliance and the AIDS Hike for Life present Terri Cook, mother of a transgender son who co-wrote “Allies & Angels“, a book about her family’s experience supporting their son through his difficult journey to becoming the person he was meant to be. Ms. Cook is scheduled to speak on Tuesday, April 4th, starting at 7 pm at The Chapel on the Hamilton College campus. A Q & A will follow along with “Allies & Angels” available for sale. The public is invited to attend. ©2017 Allies & Angels, All rights reserved.